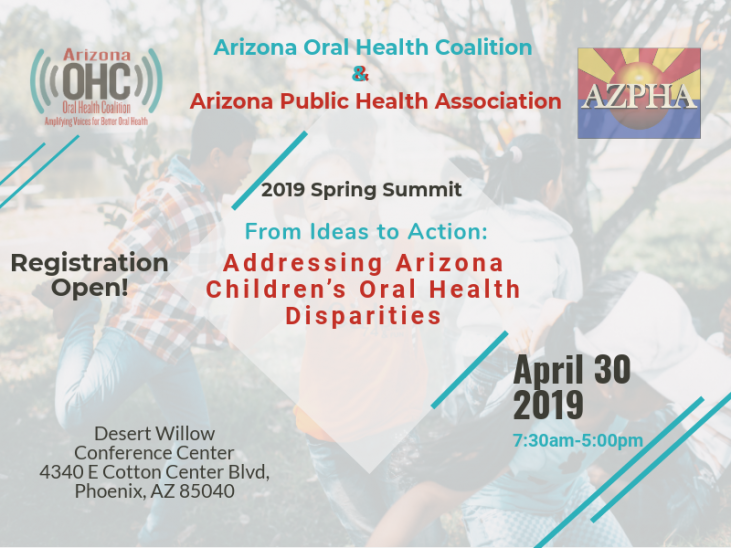 The Arizona Oral Health Coalition and the Arizona Public Health Association are thrilled to announce our upcoming Spring 2019 Summit. Breakout #2- What is Teledentistry & How Can it Help? • Thoughts about using value-based payments to improve oral healthcare. For a detailed agenda and to register, click here!